Bibiana Nunes is a Venezuelan electronic engineer turned UXer living in Mexico City. She has specialized in information architecture for the past 8 years working in consultancy agencies, leading eCommerce in adidas Mexico, and sharing her learnings with the community. 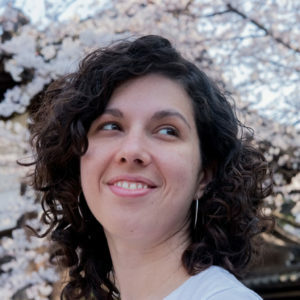 In 2016 she translated Abby Covert’s “How to Make Sense of Any Mess” in Spanish and has contributed to the development of the UX community in Mexico. She was a speaker in the 2014 edition of the IA Summit in San Diego, volunteer since 2013, led the first timers experience in 2017 and 2018, and has not missed a karaoke session since her first time in Baltimore in 2013. For IAC19 Bibiana will be leading the experience part of the conference: logistics, events, food, diversity and inclusion will be part of her responsibilities. Interviews, blog posts, and more!